It is so great to represent my Unit, “Christie’s Chargers,” here today in the number two position in the Pearl Seminar! Ladies, stand up you are amazing! I couldn’t have done it without you! This year had a slow start because of July, where hardly any orders came in because everybody spent their money on Seminar, and had also ordered a bunch of product In June to win the June wholesale prize, and help us finish big… which put us all in a pretty big hole for the beginning of this year. I called like a fiend in July but no luck… we had to be happy with a $4,700 start. But I never gave up hope. My Goal was to get 10 women in red jackets and 5 women in red cars! Since nobody was working it took some real serious prizes to get women ordering… I mean working. Whitney had these tacky bracelets for $2.50 and I ordered a few for a $400 wholesale and 3 classes. So in August I had 3 New red jackets, as we got six new recruits and two women reactivated their terminated relatives. Our New Team members came in with Star orders so we knew God was with us! It was going to be our miracle year! By September the frenzy had begun as I had Pink Caddy Posters all over our training center. We decided to do the 100 face race because everybody needed real money and real recruits! Most of us ended up doing the 8, 16 or 20 face race, and we kinda broke even on it because the hostesses were promised quite a big discount to gather up their friends…. most of the guests didn’t even know they could buy something! So, we gave them all marketing info and Miracles happen when you “ask”Â ladies! That month we got 15 new team members. Our Team Leader Christy Jones went on target for her car. She was short about $1100 wholesale but shoot, who wants to lose all that production for car so I told her just to put it in herself – she’ll sell it! That’s what I did! November selling we expected a huge bump in Holiday Sales. We all went to a holiday packaging workshop conducted by someone who supposedly sells $50,000 every season. We stocked up on all the things women buy like lotions, and gels, and satin hands, and perfume sets… that really hurt us badly when January came and all that inventory was still on our shelves. BUT! 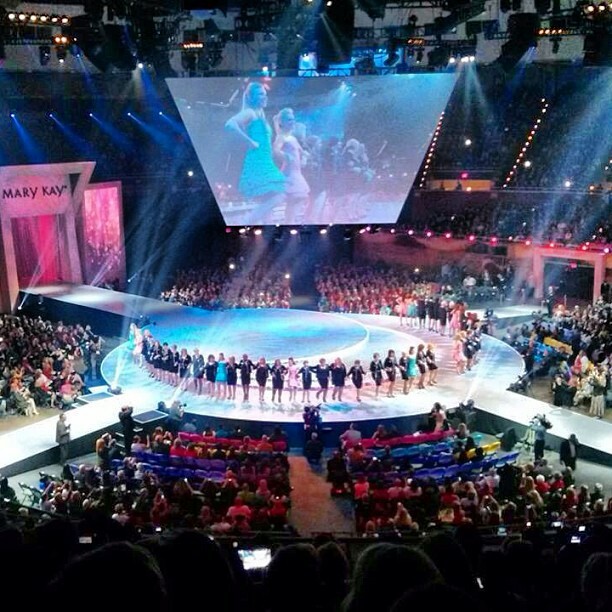 We never gave up… and that’s the secret to success in Mary Kay. Never be negative and press onward. The Pop we needed happened at January Retreat where I managed to get 15 of my Unit members to show up. In 24 hours we broke thru mental barriers that enabled our Unit to FOCUS on our Million Dollar goal! We were recruiting maniacs… we just had to tell other women about this AWESOME COMPANY. By January end, we had $25,000 in production and a new vision! In February we started using that new inventory sheet that has the $5,400 level and things started going crazy. We held debuts for all our new people and were getting them in their Red Jackets in the first week! 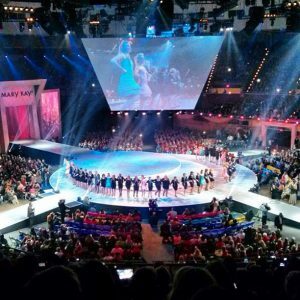 You can not even imagine the excitement of recruiting 2 or 3 or 5 women from a consultants business debut! These gals were Team Leaders before they actually held a class! To get that 13% though they had to order a $600, so that kept the production up there and growing. In March we connected with a Director’s husband at a finance company who offered to help our consultants get start up inventory! We were on our way! We were moving people up, getting their wholesale ordered and building their personal teams. Even with the drop in retail selling, we still managed to keep production up as everyone was committed to the goal. On the last day of June, I knew we did our best but there was no way we were going to be able to hit our mark. Every order that could have been ordered came in. All former consultants reached, all prospects called, every team member who could order, ordered. I at least wanted to hit the extended Trip numbers. I prayed about it and asked God for help. Suddenly I got the idea that I could call all my relatives for space on their cards and with the huge commission check I would get in JULY, pay them all back! I got busy on the phone! It took 5 hours of convincing and pleading but my miracle happened! We crossed the Finish line in the $850,000 Circle of Excellence! All Glory to GOD! I stand here today representing a Unit of women who are so deep in debt they could barely afford to be here, but they came anyway because they wanted to see our Unit in the Spotlight! As I prepare for the chargebacks that are sure to come from this year end push, I also look forward to representing Christie’s “Chargers” on the Top Trip and the NEW YEAR, where in Mary Kay, you can make your dreams come true! Set your sights, Ladies and find a way or make a way! And we’ll see you at the TOP!